Today I’m going to gush over one of my favorite daily rituals. Awhile back I started to find myself relying on caffeine a little bit too much and I decided to invest in some fancy teas to get me out of that habit. 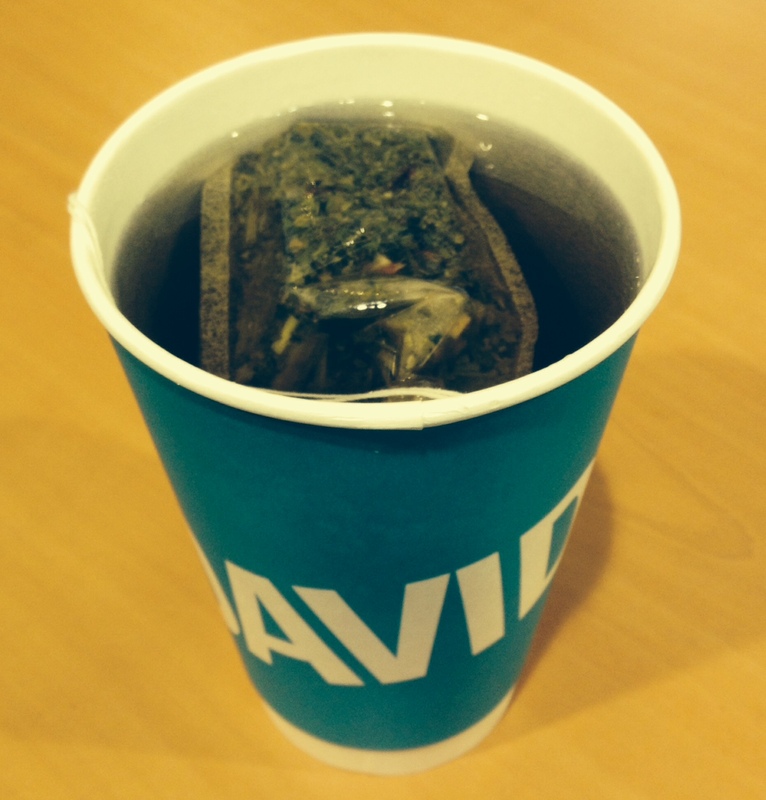 I’ve always liked tea but once David’s Tea opened a store here I became totally hooked. Their teas are my favorite, by far. I picked up a few flavors, one of their travel mugs and a perfect teaspoon and I’ve been hooked ever since. It’s scary how easy it is to spend money there but in the long run it’s definitely cheaper than buying a cup of coffee every day and much healthier too. I’m obsessed and I thought I’d share the teas, infuser jug and mug I can’t live without. This is the first travel mug I’ve ever purchased and I don’t think I’ll ever need to buy another. 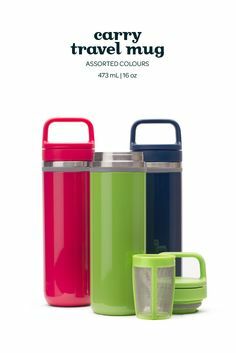 It has a removable steeper, super secure leak-proof lid, handle for carrying and a hidden compartment for storing extra loose tea to make it on the go. 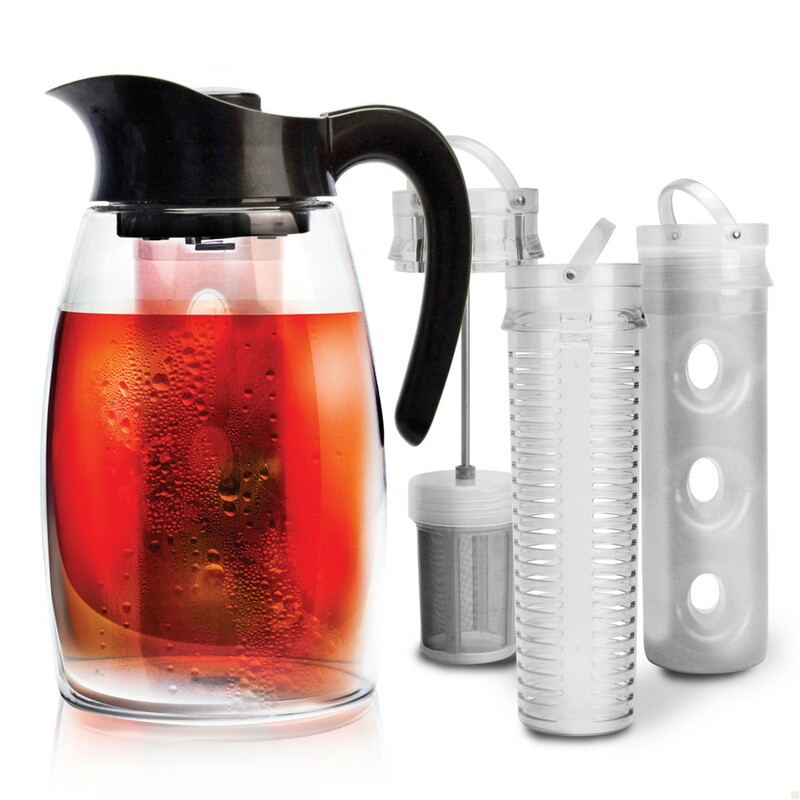 I use it for hot and cold drinks and it literally keeps my tea piping hot all day. Recently I filled the mug with iced tea and ice, screwed the cap on, put it in the fridge and forgot about it overnight. I opened it late the next day and the ice was still unmelted. I love this thing. I can’t say it enough. They just came out with four new colors too. I made a jug of iced tea each day this summer with this infuser jug but it’s also handy for making a big batch of steeped hot tea. It can be used for hot or iced coffee or fruit infused water and I use it every single day. I’ve seen this one sold at David’s Tea and Canadian Tire if you’re looking locally. I highly recommend it. 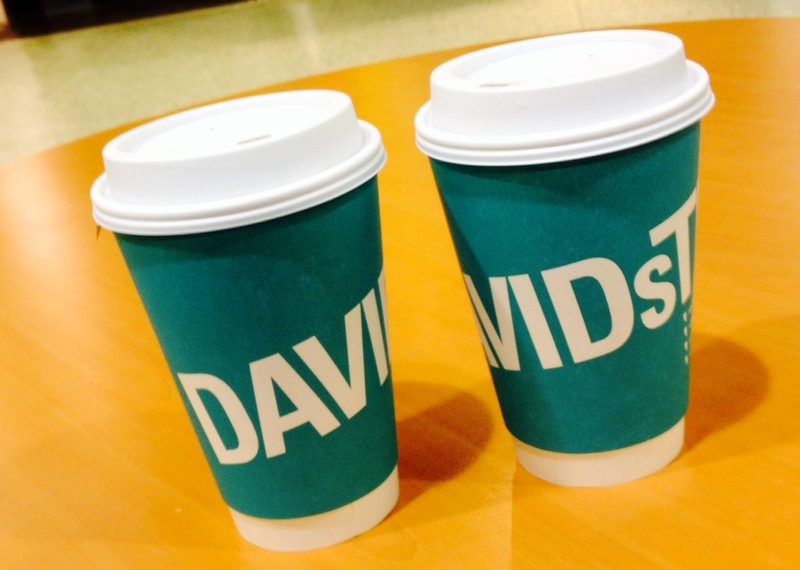 David’s has a huge wall full of teas that are always available and they offer seasonal collections too. We loved the whole Summer Collection, particularly Mango Fruit Punch and Watermelon Mint. Sangria also legitimately tastes like Sangria; you can’t go wrong there. Some of the summer teas are discounted right now so it’s a great time to give them a try before they run out! This is the first tea I ever bought from David’s when they first opened and it’s still one of my faves. It’s great hot or iced and tastes like a treat. I’ve even mailed a little bag as a birthday gift; the rainbow sprinkles and ice cream bits mixed into it are so much fun. This tea tastes like straight up Key Lime Pie. It is freaking delicious, and great hot or iced. I love the benefits of green tea but hate the grassy taste and this one doesn’t taste like that at all. This is another delicious non-grassy tasting green tea that’s perfect for the beginning of Fall. It has popcorn and apples in it and tastes very warm and cozy. I love it with a little milk and honey. This one tastes like a dessert and has little yogurt bits in it. It’s creamy and tangy and sweet and turns the most gorgeous ruby red when steeped. This was the tea of the month for August and we totally fell in love with it. We got a free cup of iced tea with our points card last visit and decided it was too good to share just one cup so we ended up buying a second. It’s like pomegranate fruit punch and doesn’t even need sweetening. Totally awesome. This seriously helps if you are feeling under the weather. It’s very potent due to the juniper but it’s worth it. I’ve actually been on the verge of getting sick, made some of this and was feeling better by the next day. This one has pineapple and mango and is a great pick-me up in the morning, hot or iced. It also has kombucha powder in it which helps with detoxifying the body and boosting the immune system. New flavors I’m trying: We just picked up Pumpkin Chai, Mint to Be, The Glow and Cinnaberry for Fall. Are you a tea fan? What’s your favorite flavor?